I have only posted sales and GA things lately, so it's time to do a gets post for a change. (although there's an offer reminder too... sorry). I'm also having a half year anniversary in a couple of weeks, so I'm planning to do a full collection update in the start of December. I have been collecting mostly shiny things this past two months. Of course there was also the explosion of Eevees, but you have seen them so many times, that I'm not going to bother you with them in this post. 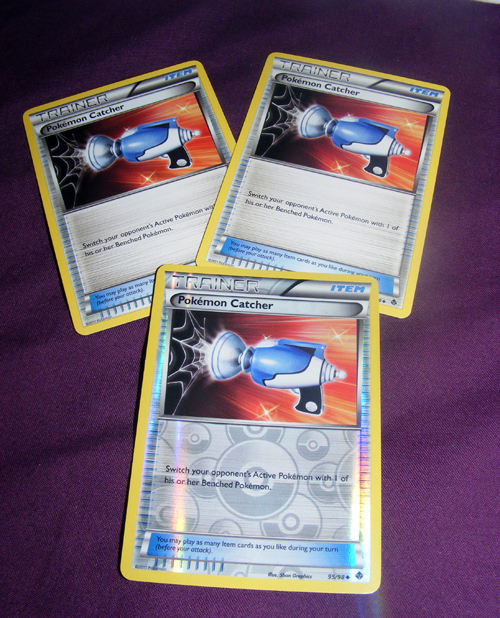 Also, rhys107 I got all the little dialgas and lucario today! Thanks so much! 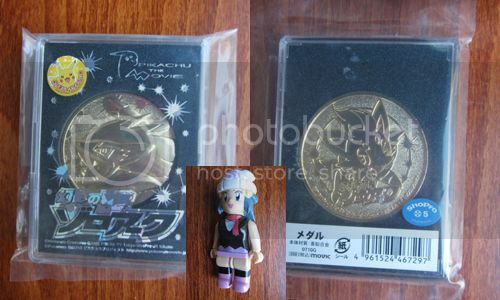 :D And person who ran that bottlecap GA (sorry I don't remember XD) I got the dialga bottlecap too! A collection update is in order but truxor is kindly on the hunt to find me a new Dialga Movie edition zukan that came with the clear ash! :) It's really appreciated when sellers will kindly try to replace lost items <3 thanks again. I'm trying to clear out some extra stuff, so here is a weeding post! Lots of items are only $.50 or $1.00! Please read the rules and shipping info before committing to buy anything! These items range from mint to used and some are in damaged condition. Conditions are listed for each item. Feel free to combine any items here with stuff from my permanent sales post. Click here to open this post in a new tab/window (this post contains large images). 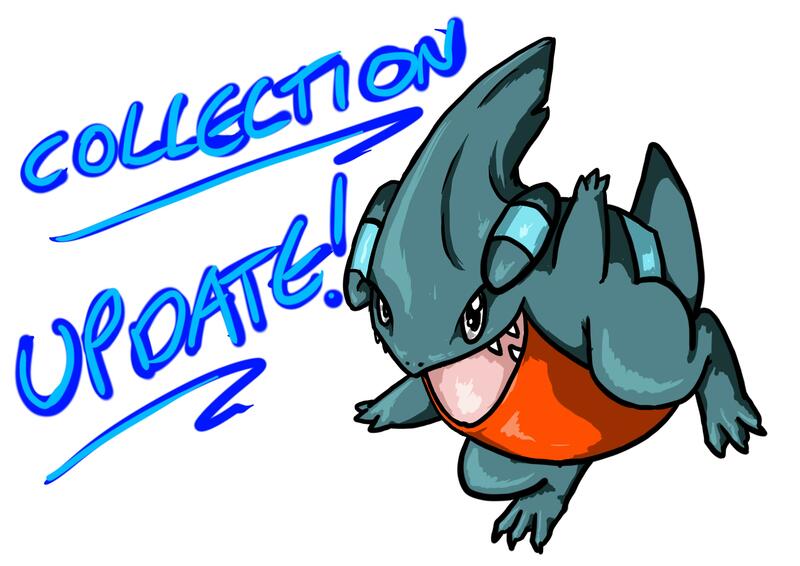 Okay so first off I want to reminder everyone that my plush and metal figure acutions end in about 24hours. 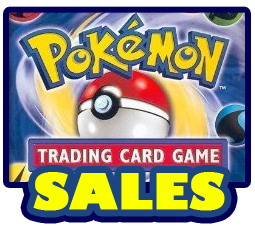 This includes the rare gunmetal Jolteon, Copper and Blue Flareon, along with some others. Check them out. 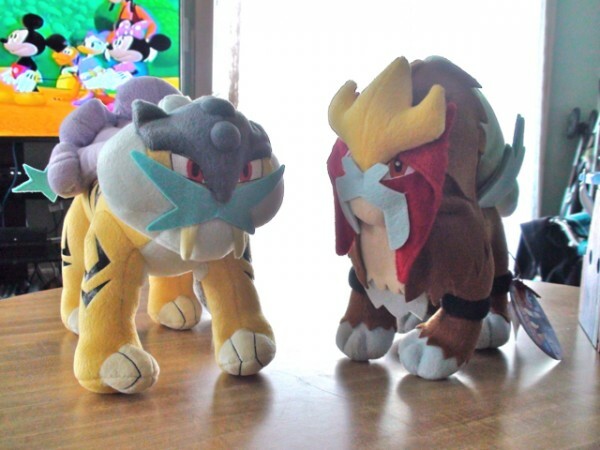 Also Raikou and Entei DP Tomy plushies, along with some starter UFO's for auction. Entei tomy, Totodile UFO, Treecko UFO, Torchic UFO, along with a bunch of metal figures (charizard, mew, gengar, meowth) have NO BIDS. Flareons and Jolteons are still pretty low. Don't miss out! Click photos or here to be brought to the auctions. Second, I added a few plushies to my sales post. It's updated and they are all looking for new homes. Third, is my photo story! So it's November and I'm sure some people may still have a pumpkin or two left over from Halloween. I thought well I should make some Pumpkin Cookies! So this is a 2-part Photo Story. As it would be super long if I did it all in one post. Last of all, I have a quick question. 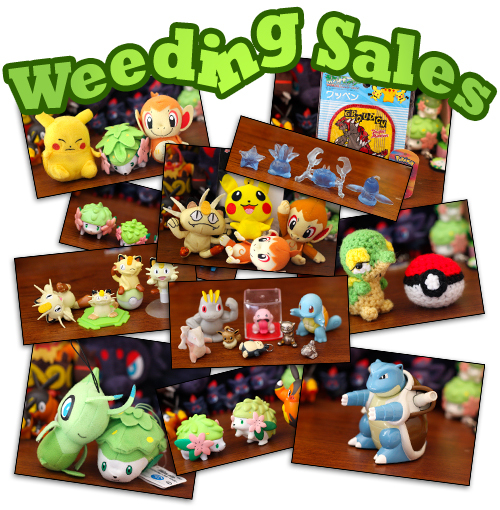 What other sites do you search for Pokemon Merch? I always check eBay, Amazon JP, Yahoo!Japan. 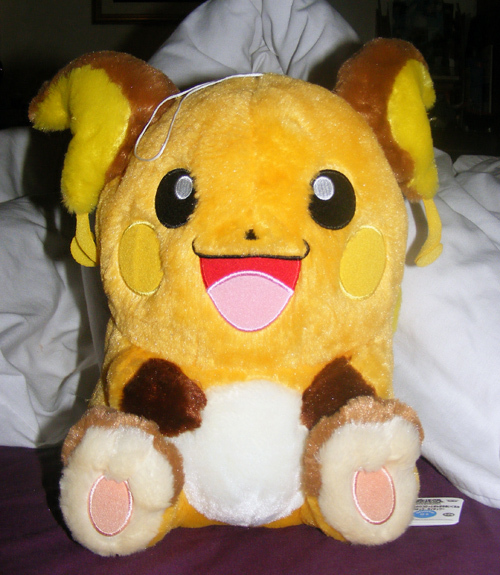 I was wondering if there are other Japan auction sites or websites that sell offical Pokemon Merch, mainly plushies. Show me your metal figures! I've become increasingly curious about these metal figurines and I think it would be pretty neat to own a few. However, it's pretty hard to find any whole list of which ones are available and how rare they are, so I thought it would be a nice idea to ask here. Please show me your collection photos, and if you know anywhere where I might find a database of all available, that would be awesome too! And do you do anything particular with your figures? Make-do chess/monopoly pieces, or do they just sit on a display looking cool, I'd love to hear about it! Well, I shouldn't say that. Rather, a new-er user. I hail from Florida and I'm a Lati collector. Truthfully, my collection is pretty pathetic, but I'm working on it! I love Plush and Bottlecaps the most, but love everything else as well! I hope to meet many amazing collectors I've stalked watched for a very long time. I don't have much to say, so see you all around the threads! mini pile 'o plush sales! Anything can be combined with my Permanent Sales Post! It would be better to inquire on here because sometimes I give extreme shipping prices on there xD. *Minimum shipping for small plush and figures will be 1.80 within the us, INT will hover between 3.00-4.00 depending on the weight. You may haggle if you like seeing as Christmas is coming and I need money for presents XD but please do keep it within reason. More detailed pics of my Vaporeon! Omg I am so happy right now :D I've been waiting for them for almost a month now!!!! 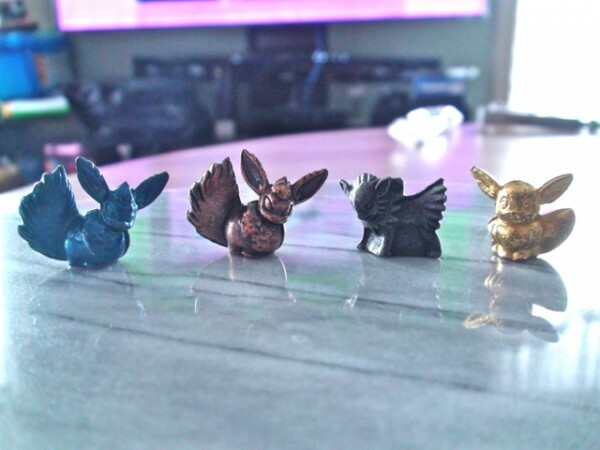 They are....... HQ Eevee :D I got 3 of them from SMJ. Actually I only wanted to buy 2 but since it was my first time on SMJ I bought 3 by pure mistake -____-' oh well at least I found a new owner from my third Eevee n_n A friend on DA bought it from me. So I came home from University around 6 in the after noon, it's all black outside (yeah in this time of year it's night at 5 in the afternoon...) it's really depressing and everything. I asked my BF if I got something in the mail and he said yes. I am not joking, the smile I got in my face was priceless haha! It's time for the second payments - shipping from the deputy to lugidog. It will be shipped via EMS so that it can be tracked. Total cost is 5589 yen, which is $69.71. I'm dividing it up by items won, so those people who won more items will pay more. Please send payment within 48 hours. What you owe is in one of the two colored columns on the spreadsheet (one for people who live in the US and one for people who live elsewhere). Please title your payment "Plush Party GA - Payment 2" and include your username and what you won in the memo. well that's all for my collection update :D but that's not all! 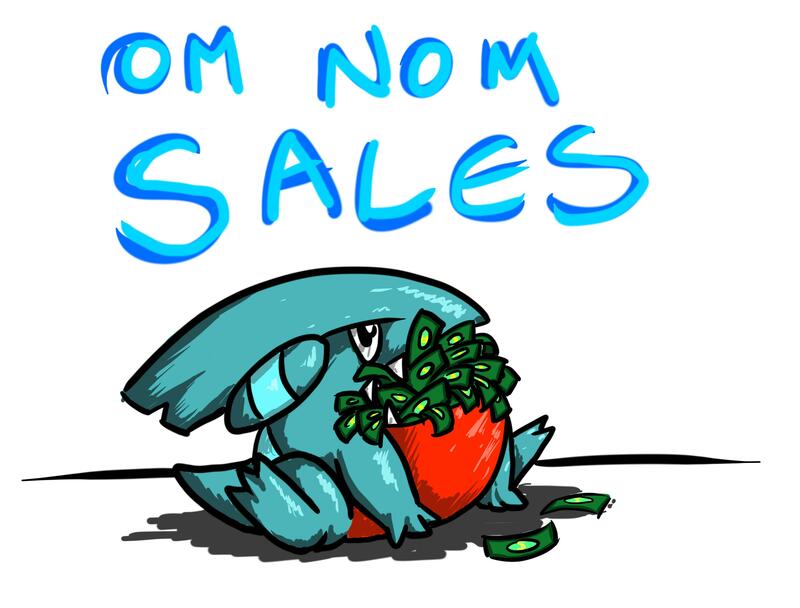 I also have some sales <3 Including (unfortunately) my fuzzychu Raichu plush :( I have also heavilly reduced some prices and added some pokemon catchers. Please take a look! CLICK THE BANNER OR THIS LINK TO GO! 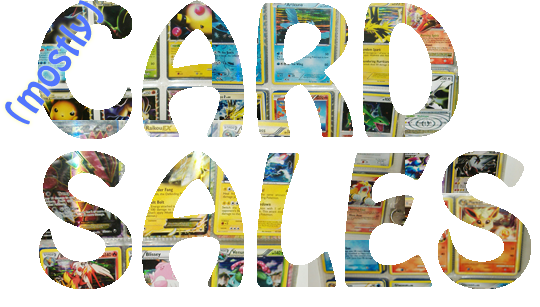 I have also slightly updated my card sales with some more ultra rares :D Please take a look! CLICK BANNER OR LINK TO GO! Hey everyone! 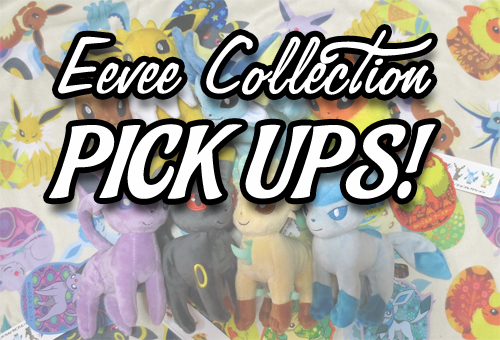 denkimouse has finished up all the current orders in her first batch of pick ups for Eevee Collection. To keep things a little less hectic, I'll be running this post for her next round of pick ups! This post is for the Pokemon Center, and Tomy plush. You can see Gin's pics/comparisons of them here! -Please don't claim anything you already bought from the first pick up, and please don't claim with the plans to resell. There is nothing wrong with either of these things, and we have no time to check your previous orders and no way of knowing your intentions of buying. But the point of these pick ups is to provide items for those who may have missed them the first time, so please hold back for now! Multiples are fine, but limited to 1. -Slots cap at 50 40 slots per item! -Gin will continue to pick them up until they are sold out, but she can only get a few at a time! Do not put your name on this list unless you will be prepared to pay anytime after November 17th. We will give you a total once your items are in hand. This could be as late as the end of November or even early December. Keep that in mind! -Some items may be sold out! Please keep this in mind, and anticipate it. This does NOT mean you can back out on your other items. -Items may be combined with NEW Sunyshore orders like the items Gin added today! 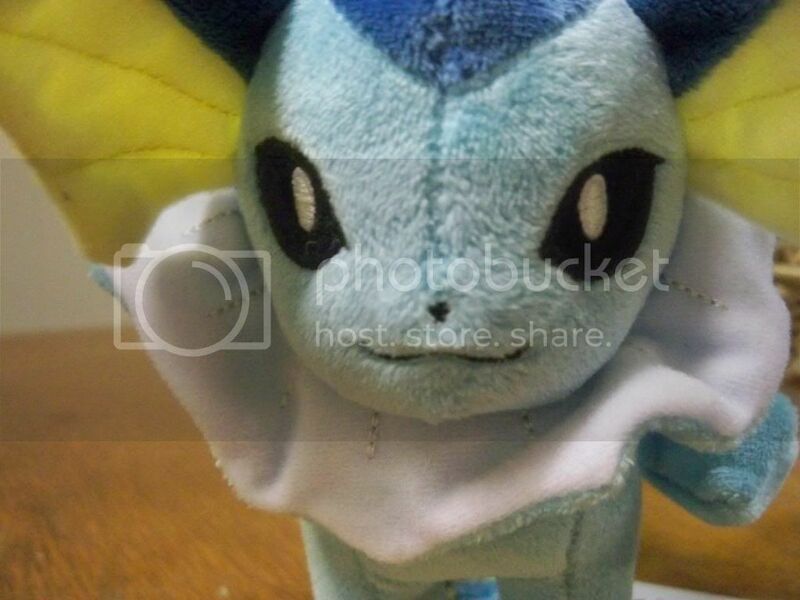 Some Eevee items are on Sunyshore, but other items from the promotion sold out very fast. Gin will add those to Sunyshore if they restock, but don't count on much! Hi again, everyone! I wanted to remind you all that my plush auctions have 24 hours left! Lots of these plush don't have starting bids yet, so now's the time to act! You can click here or the image to see! Hi community, so I have a dilemma. TCG cities start in 2 weeks, and I really need 2 Keldeo EX for my deck and I magically seem to keep missing them. I don't think I'm meant to play that deck. So I was wondering if anyone had 2 Regular Keldeo EX that they are willing to let go for a decent price. Please let me know, I would be ever so grateful. Thanks in advance. Hey everyone; I found these absolutely adorable 'fanmade' pokemon things that I thought you guys might appreciate and thought i'd share. 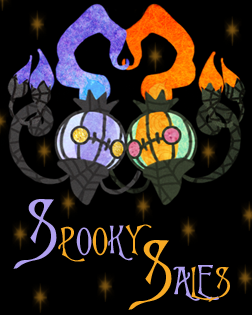 Click For cutescruff pokemon items. *Disclaimer* I am not affiliated with this site at all, other than liking the products. I thought it was something the Comm might be interested in. Guess who's been having super amazing luck with the Boundaries Crossed set? All of these cards are for sale! Along with a ton of others from this set, Dragon Vault, and earlier sets, in my sales post. Go check it out! I have a full list of cards I want to trade for here. Happy collecting! Custom Mini Snow Globe Commissions! and Wants! Also, I am hoping to take this chance to hopefully be able to find some gift for myself as Christmas present, or actually not very christmas related. Just a heads up that the auctions for 2 custom embroidery pokemon-blankies and a Samurott Pokedoll end tomorrow night! All items are at their starting bid, so if you want a great gift guaranteed before Christmas now is your chance!